Luxury accommodations in Ennis, Mt. 500 feet from the banks of the famous Madison River, the 'Madison River Anglers Rest and Retreat' at Last Best Place provides a home designed by a fly fisherman and his family with fly fishermen and their families in mind! Our welcoming, fly fishing themed accommodations keeps those dreams of catching and releasing 'the big one' alive and well. As our street name suggests, our location is tough to beat. From our rear decks, you will enjoy unparalleled views of the Madison Range to the east, as the sound of the Madison echoes in your ears. Don't relax too much or you will miss frequent neighborhood visitors, like moose, deer, elk, foxes, osprey and eagles. 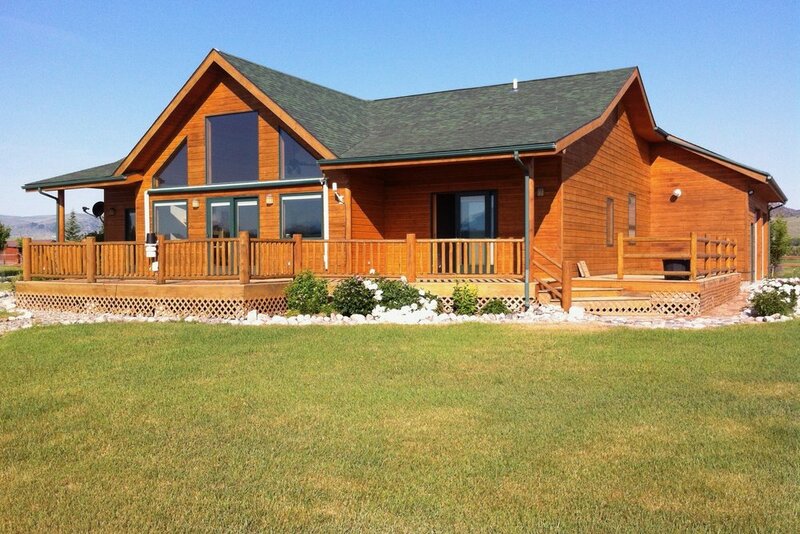 Come stay at The Madison River Anglers Rest and Retreat! Our Ennis, MT home bathed by a summer's day of bright blue skies. Our new (2016) guest cabin accommodation that lies adjacent to our home.